Gift your Valentine with our not so traditional take on a dozen pink roses. Though compact, this creation makes a big statement. 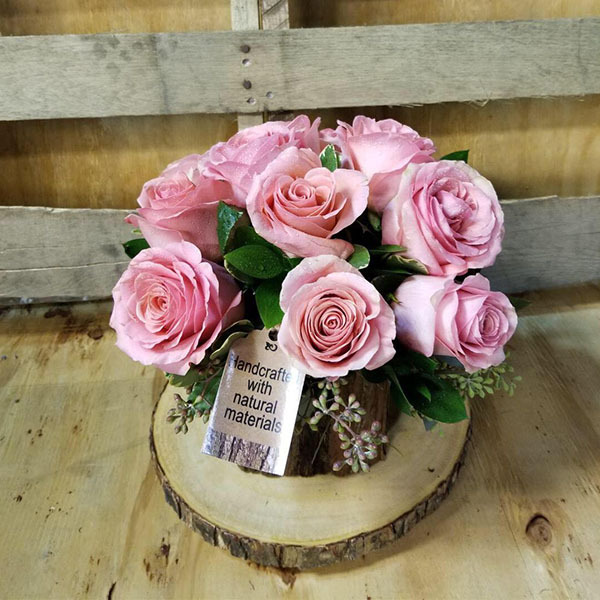 Whether you want to wow them at the office or create that romantic atmosphere at home, this piece, crafted with all natural materials, will guarantee a big smile and major kudos for you!